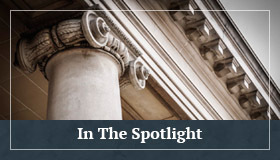 Timing Is Not Everything When Filing In Limine Motions: New Jersey’s Appellate Court Provides Guidance for Proper Use of In Limine Motions Seeking Dispositive Relief | Golden Rothschild Spagnola Lundell Boylan Garubo & Bell P.C. Golden Rothschild Spagnola Lundell Boylan Garubo & Bell P.C. 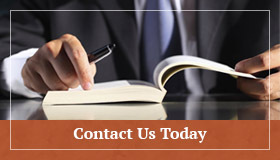 Experienced, Innovative, and Dynamic Attorneys. By: Daniel B. McMeen, Esq. and Brian M. Frankoski, Esq. In the matter of Cho v. Trinitas Regional Medical Center, et als. (DKT-A-5923-13T2), recently approved for publication, New Jersey’s Appellate Division held that Motions in limine which seek to dismiss Plaintiff’s claims or suppress Defendants’ defenses should be treated as Summary Judgment Motions, subject to the New Jersey Rules of Court governing the filing of those Motions. Here, the Court reversed a Trial Court’s dismissal of Plaintiff’s Complaint on the grounds that the in limine motion filed by the Defendant on the eve of Trial should have been treated as a Summary Judgment Motion. The underlying matter arose from an alleged medical malpractice claim where the Decedent suffered cardiac arrest while awaiting treatment. Plaintiff filed its action against various parties involved in the Decedent’s treatment. By the time Trial commenced, the Decedent’s primary care physician remained as the only active Defendant. During the Pre-Trial Scheduling Conference, the Court agreed to entertain any remaining in limine motions. The Trial Judge instructed Defendant to file all in limine motions the following day. No objections were made by the Plaintiff. As instructed, Defendant filed its 16-page motion, seeking the following relief: (1) dismissal with prejudice of the wrongful death claims, (2) dismissal with prejudice of claims seeking punitive damages; and (3) that Plaintiff be barred from presenting any evidence at trial as to the pain and suffering of the decedent. Plaintiff opposed the Motion. The Court granted Defendant’s Motion, effectively dismissing Plaintiff’s action with prejudice. During oral argument, the issue as to whether the Defendant’s motion should be treated as an in limine motion or a motion for summary judgment arose, to which the Trial Judge opined that the only reason why the motion would be treated as an in limine motion and not a summary judgement motion was because of its timing. On Appeal, the Appellate Court clarified and established when motions in limine should be treated as Summary Judgment Motions. Noting that no explicit Rules exist which define motions in limine, the Court turned to Black’s Law Dictionary to ascertain the true definition of the term. Black’s defines in limine motions as pretrial requests limiting the presentation of certain inadmissible evidence at trial. The Appellate Court found that an in limine motion should not be categorized as such simply because it is brought on the eve of trial, but rather it should be guided by the relief being sought. Moreover, a ruling on an in limine motion should not result in the dismissal of a case. In Cho, the Appellate Division reversed the Trial Court’s dismissal of the Plaintiff’s Complaint, holding that the Defendant had no excuse for filing its motion so late in the proceedings. The Court held that where a ruling in favor of a motion in limine would ultimately result in the dismissal of a Plaintiff’s Complaint or the suppression of the Defendant’s defenses, then it should be treated as a Summary Judgement Motion. Accordingly, such motions must meet the applicable rules set forth in the Rules of the Court, specifically, the requirement that a Summary Judgment Motion be heard no more than 30 days before the start of Trial. The Rules of Court also provide that Summary Judgment Motions be filed at a minimum of 28 days prior to its intended return date, thus providing ample notice and opportunity to respond to an adversary, and preserving the due process rights of the litigants. With this decision, the Court has clarified its position on how motions in limine will be treated moving forward in New Jersey. Gone will be the days of parties making last ditch attempts to circumvent the Rules of Court by attempting to file dispositive motions shrouded under the cover of pre-trial in limine motions. New Jersey’s Appellate Division has made it clear that if a party intends to seek a summary dismissal, it must be sure to timely file its Motion as prescribed by the Rules of Court, or face the reality that the Motion will be denied on procedural grounds at the time of Trial. Therefore, parties should be vigilant in analyzing their claims and defenses to ensure compliance with the procedural Rules of Court, which in this instance, requires that ample time has been allotted for seeking dispositive relief, otherwise the opportunity may be lost. Daniel B. McMeen, Esq. is a Shareholder in GRSLB&G’s Litigation Department. He defends a wide variety of clients in various civil actions brought forth in New Jersey State and Federal Courts. Dan can be reached at dmcmeen@grsl.com. Brian M. Frankoski, Esq. is an Associate in GRSLB&G’s Litigation Department. He defends a wide variety of clients in various civil actions brought forth in New Jersey State and Federal Courts. Brian can be reached at bfrankoski@grsl.com. construed to be formal legal advice nor the formation of a lawyer/client relationship. Persons accessing this site are encouraged to seek independent counsel for advice regarding their individual legal issues. Copyright © 2015 Golden Rothschild Spagnola Lundell Boylan & Garubo P.C. All Rights Reserved.